Today was brutal. I picked a walk in England, because I have lived in England and found the countryside always so pretty and gentle. Gentle, shemtle! Joel and I agreed that, today, we had, from the 16 miles we walked, 2 of the hardest miles we ever walked in our entire lives. The hardest! And, Joel has done a lot of out-west USA hiking and I lived 17 years in Switzerland and hiked often in the Alps. This was harder. 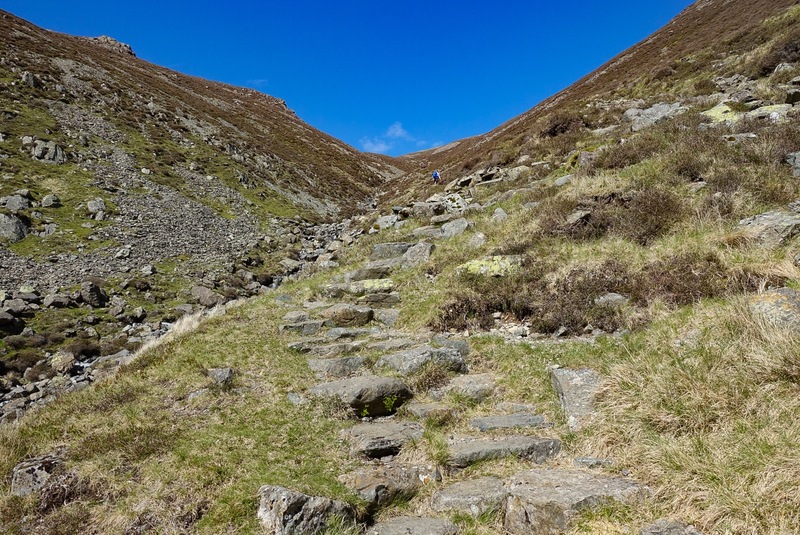 An endless up-hill and downhill pure-rock scramble. I am at the end of the day now and everything hurts. Joel hurts. He was always ahead. I blame it on his longer legs, but better fitness could have also played a role. Who knows? – But, we are both in pain tonight. 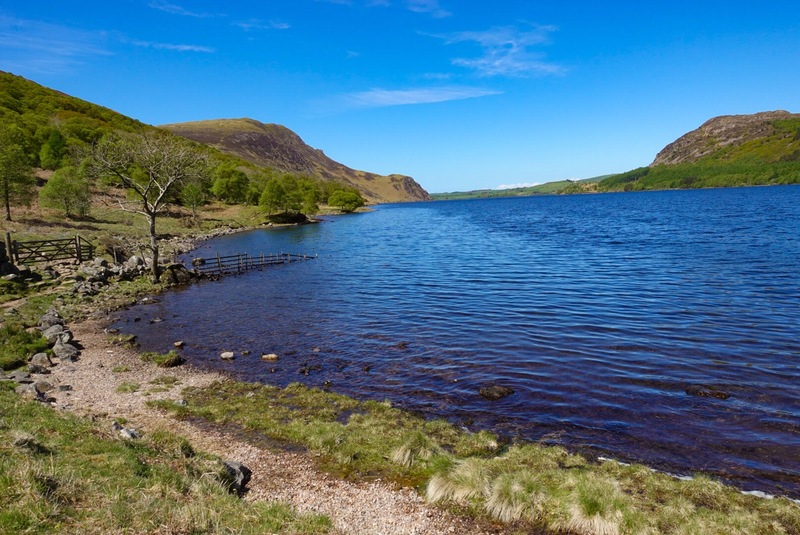 Even the flat part, along Ennerdale Water, was just rocks, nothing flat, every step needed to be calculated, intentional. I bloody a knee, and was lucky that was all. Path along Ennerdale Water – Rocks, only Rocks..
Ennerdale Water was beautiful, but we were happy to put it behind us. 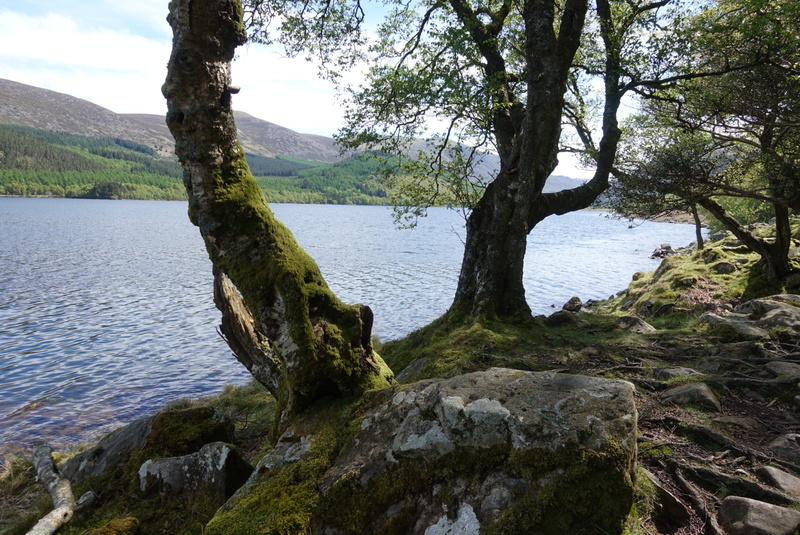 We had a 16-mile day ahead and managing the rocky path along the lake took up too much time. 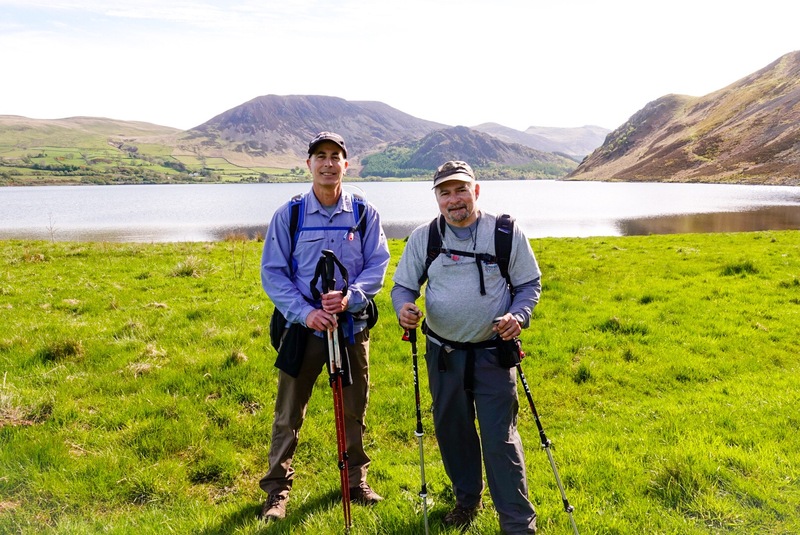 We had a gentle upwards bit after Ennerdale Water, walking up the valley, but the top of the valley finally meant that we would need to go over a pass. This was the hardest climb I have ever made. A one-mile rock scramble upwards. 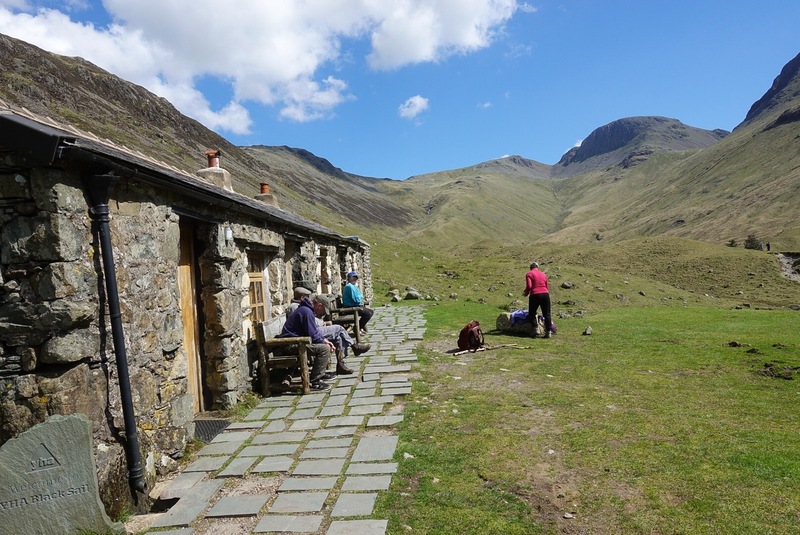 A nice-looking Youth Hostel at Scarth Gap, the Top of the Valley, just before “The Climb”! I wish this pass looked in the photo as bad as it was! But, this was over half-way up and the stone “steps” are visible. Bloody Knee – Sorry for Gory Photo! 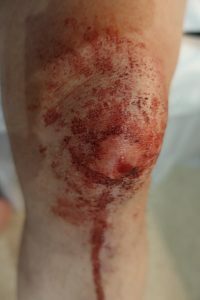 I took one stumble and scraped my knee (see photo, but only if you don’t faint a at the sight of blood!). I am alright, though. Superficial wound. Knee cap still in place. But, eventually, this pass was behind us and we re-entered civilization. 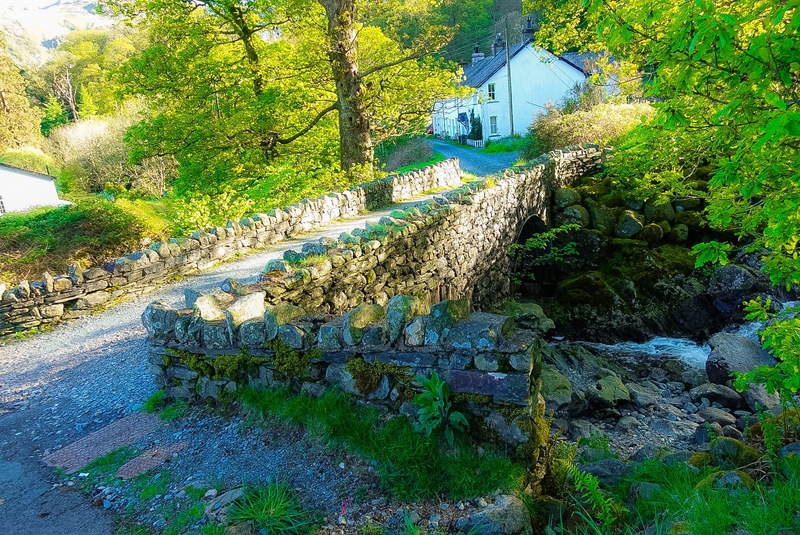 A charming bridge over a charming stream, with a charming cottage in the background – see photo below. We are staying in a very quaint hotel tonight, and our walk tomorrow is “only” 9 miles, but includes another big uphill. Hopefully, we are in our next B&B in time to enjoy it, and to recover, and to wash some clothes. 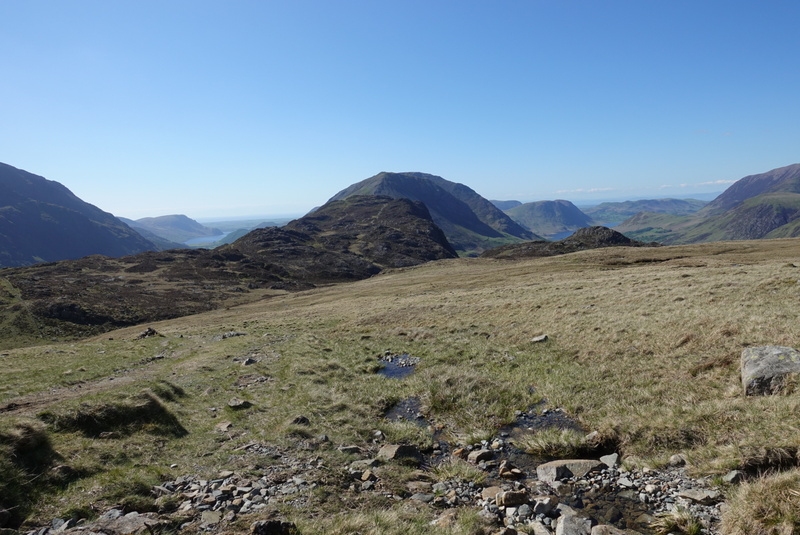 We still have two more days in the Lake District and a 21-mile day marching out, before we have our sort-of mid-way day off, I think, this coming Thursday. More on that in the next post. Oh boy, that knee looks horrible! Hope you have a good first aid kit! Once again, beautiful photos! It is just a little cut with a little bandaid on it right now. No worries! Jeffrey, I love this post. It is so brutally honest how it is to hike and the pitfalls. Love the pictures. 🙂 Sorry about your knee. At least it is not broken. 🙂 I’ve hiked all over the Southwest including Grand Canyon 5 or 6 times, Bryce Canyon 3 times, Zion Canyon about 4 times. I love the Southwest!! 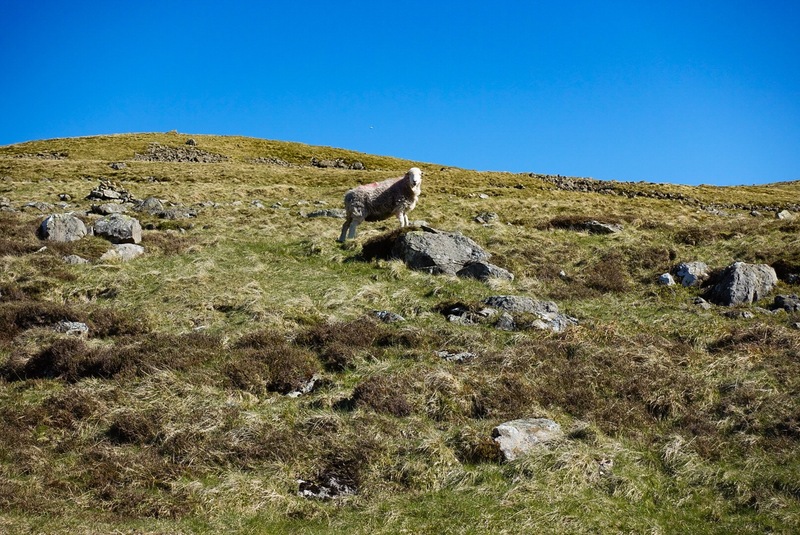 Why have I hiked/ walked? Because I loved it and loved the walk/hike and loved the quiet, being with nature, and realized I am on a treadmill living in Los Angeles. That why I have to get out of here from time to time. Ugh. 🙂 Why do I stay here. My job! Anyway, Godspeed to you both. Hang in there and keep going. I love reading your blog. We are all there with you. Keep going! Thanks, Sue! Sorry for the late posting of your comment. I have a weird spam filter and it has caught a couple of spammers, but also stopped 3 or 4 real comments from going through. I can get to them to check, but just didn’t think about it. Now, I will look regularly. I would love some out-west hiking. Glad you are a hiker. I am still a little out of condition, but having fun alongside the aches! There is nothing worse than hiking over rock scramble, even having a rattle snake on the trail (ask Joel 🙂 ). Joel is constantly on the look-out for adder snakes here! We had rock scrambles and a lot of altitude gains and losses today. I am a bit worse for wear at the moment, but tomorrow we hike on! Wow! Do you have to stick to your itinerary? Why not take an extra day to rest? Loving the posts and pictures. Keep’em coming, but STAY SAFE! 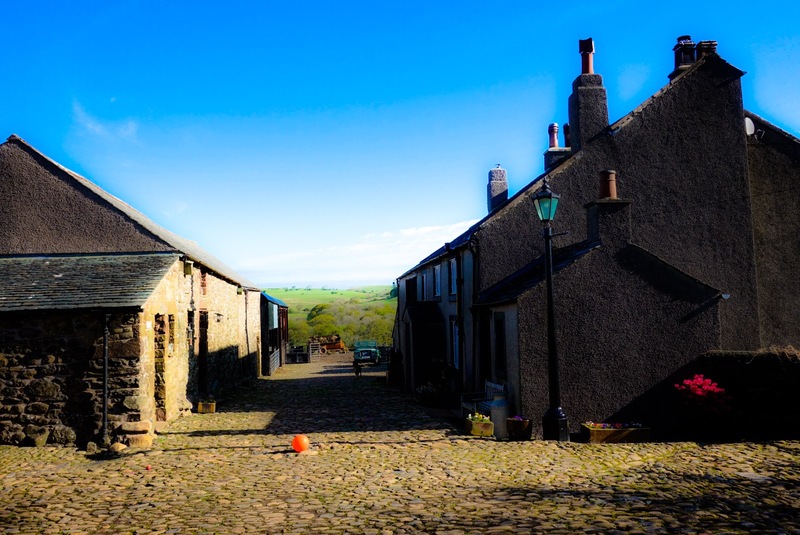 The route is very popular and the B&B capacity along the route is full. We have to stick to our itinerary or, believe me, I would take tomorrow off. We are in Grasmere, Wordsworth village. Very quaint, but tomorrow we move on!